• Clause 6.2 defines conditions on material properties such that the yield stress of the different components is under control and the ductile 'weak link' is really a weak link in the chain of resistances. Clause 6.5.5(3) • For design in which dissipative zones are intended in the structural elements and not in the connections, a factor of 'overstrength' design for connections equal to l.l7ovis specified in clause 6.5.5(2). Clause 6.5.2(5) • Accordingly, if the designer plans to achieve energy dissipation in the joints, overstrength of the connected bars is needed and imposed by clause 6.5.2(5). This is necessary because in that design option, the bars of the structure, which are not presumed to be the site of energy dissipation, are not required to fulfil specific conditions for their ductility in the plastic stage, such as belonging to certain classes of sections. 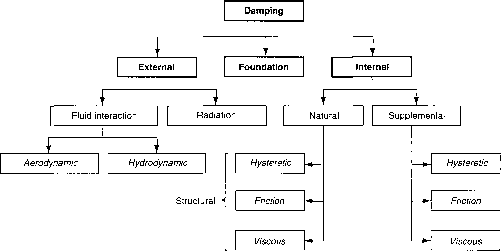 6.6.3(2), non-dissipative structural elements. For this reason they may be called hierarchy criteria. 6.7.4( I), This type of logic is explained here with details. (1) The action effect in the non-dissipative element, e.g. the axial force NEdi E in a column, is computed by means of an elastic analysis of the structure under the design seismic action (i.e. for the design spectrum, obtained from the elastic spectrum reduced by the q factor). The element considered (e.g. a column) is not the one in which the dissipative zone develops; let us assume that it is a plastic hinge in a beam. (2) The action effect in the dissipative element, e.g. the bending moment MEd E in that beam, is computed by means of the same elastic analysis of the structure under the design seismic action. A material overstrength, due to the fact that real materials can provide yield stresses higher than nominal and that the material overstrength in the dissipative element can be greater than in the non-dissipative element. This is accounted for by the factor 70V above. (4) The capacity design of the column, such that the plastic hinge forms in the beam while the column remain elastic, has to consider the two mentioned sources of overstrength. The design seismic axial force is thus l.l7ov/WEdiE. In that expression, 1.1 is the safety factor explained in Section 6.3 above. (D4.23)) for all moment-resisting frames 9 equations (6.6), (6.12), (6.30) and (6.31) in EN 1998-1 for steel structures, which also apply to composite steel-concrete structures.